Photographers, artists, poets: show us NEVER. How, and why, I made this unwise decision, is still a mystery. Maybe, it was the setting–Xel-Ha Ecological Water Park in Mexico? It was my first visit south of the border. The beautiful crystal-clear water, gently flowed to the sea surrounded by tropical flora and fauna. At any rate, my spouse wanted to go snorkeling. My preference was lazily floating down the river in inner tubes lashed together. I should mention, that, I’m not a swimmer. Proper equipment was secured and I proudly “galoomphed,” (walked with exaggerated steps, because of the swim fins), down the dock. “Don’t forget to smear spit on the inside of your mask,” My wife advised. It sounded gross, but I did it anyway. I stepped off into the water, stayed afloat because of the life jacket. My head was submerged, with just the snorkel tube above the water. “Remember to breathe through your mouth,” Said a muffled voice. Too many new experiences, happened too quickly. My mask was fogged up–I couldn’t see a thing. Salt water came in through my breathing tube–that wasn’t supposed to happen. I couldn’t touch the bottom. Now, I was just a living piece of driftwood floating with the current. 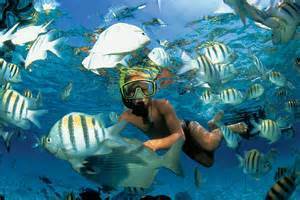 Snorkeling is something I never plan to try again. …At least, not without taking swimming and snorkeling lessons first. I still don’t like to talk about my embarrassing experience. That’s the difference between me and my wife–she immensely enjoys relating this story–to my chagrin. Create a short story, or epic poem that is 26 sentences long, in which the first sentence begins with “A” and each sentence thereafter begins with the next letter of the alphabet. Please, give me a break! Quickly–I need peace and quiet! Zombie apocalypse has finally come! This story about homelessness, told in poetic form, took on a life of its own. The characters, Alonzo and Pamela, represented what could happen to anyone under the same circumstances. “Black Dragon Rose” sprang to life after viewing a picture of an exotic tea rose. The question I asked myself–what was the true essence of intrigue? This was the first installment of My father’s WWII story, told in letters written to his parents. For those that took the time to read through some of these long posts, there was a clear picture of one family’s emotional upheaval during wartime. I did historical research to fill in some of the gaps. WWII GI’s weren’t always talkative about war experiences. I’ve yet to meet anyone that loves war. The sacrifices of veterans, made our present day world safer, and should not be taken for granted. If it were a party of close friends, I’d stay longer. Group dynamics would determine the remainder of the gathering. I’m more introverted than extroverted–loud obnoxious people put me off. If the majority of attendees were positive and uplifting, I’d feel energized. If there were too many drama kings and queens in attendance, I’d be more emotionally drained. I have no desire to be poisoned by toxic personalities. If things went completely awry, I’d make a trip to the restroom, mysteriously disappear, and go home. At that point, a good book would be an enjoyable alternative. 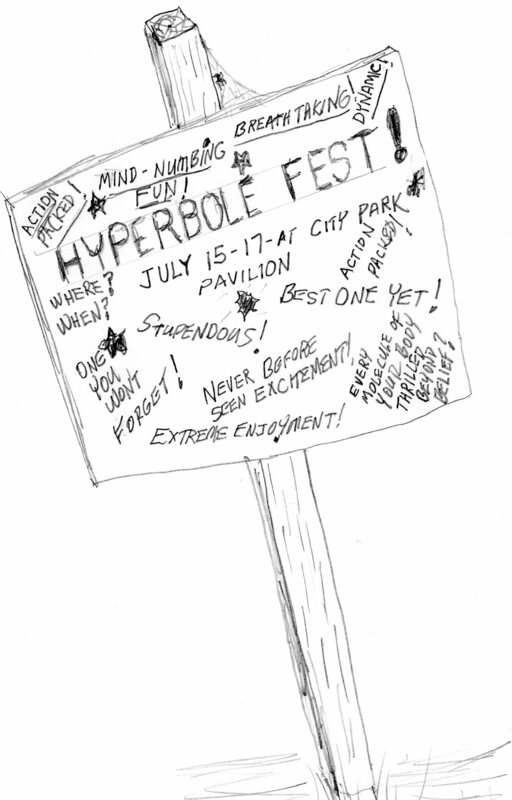 DAILY PROMPT: OPPOSITE DAY, HYPERBOLE FEST!!! Author warturoadam77pPosted on July 15, 2013 Categories UncategorizedTags art, creativity, DPchallenge, Humor, sketching, society3 Comments on DAILY PROMPT: OPPOSITE DAY, HYPERBOLE FEST!!! 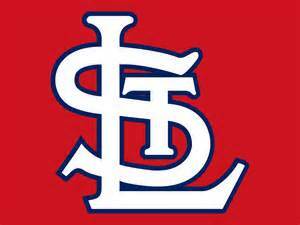 I follow the other St. Louis sports teams, but baseball is my favorite sport. My hometown region was evenly divided between Cubs and Cardinals fans. I consider myself a baseball fan and not a sports fanatic. There’s an important distinction between the two. Until I moved to the Gulf Coast, I didn’t understand the true meaning of sports fanaticism. Following a favorite team is a “religion” to a sports fanatic. Here on the Gulf Coast there’s a proliferation of sports fanatics and fanaticism. Favorite SEC football teams are supported “come hell or high water.” Those favoring non-SEC teams would be well advised to proceed with extreme caution when discussing sports with SEC fans–things could get ugly in a hurry. Harvey Updyke, a fanatical Alabama fan, poisoned revered live oak trees near the arch-rival Auburn University campus. Fanatical SEC dads have skipped out on being at the hospital, when children were born, to be at playoff games. Sports fanatics put all else aside to follow their passion. SEC fanaticism is tame, compared to the extreme actions of World Cup soccer fans. If killing trees weren’t bad enough, a Brazilian referee, recently killed a soccer player; irate fans, in retaliation, murdered and dismembered the ref. In this instance, sports fanaticism crossed over into mob action, and became sports lunacy. That’s where I draw the line. I’m a sports fan without intentions of ever being a sports fanatic. I may, yet, be committed to the “Home for the Terminally Nostalgic.” Until that day happens, I can’t help but think, that in several ways, personal electronic devices enslave us, make us work more, and communicate less interpersonally. Before the internet, there were movies, television and radio–all served to mass-culturize and make the world a little smaller. In the not-too-distant future there won’t be anyone that remembers what pre-internet days were like. Some days, I could do without the excessive drama, in my hectic, twenty-first century, day-to-day life. “Quote of the Day,” “For me, internet doesn’t exist. I’ve never seen it. I don’t know what it does.” From Ana Marie Hernandez, a retired nurse in Cuba, where web access is rare and costly. Maturity is not always what it’s cracked up to be, either. When I was addressed as “Sir” on a regular basis, I knew the express train to Geezerville had left the station. There’s a finiteness about being sixty-something. It calls for savoring every day–finding things to be grateful for. I would like to go back to a simpler time–especially when my gadgets go kaput and I can’t fix them. There’s no way, I now, could handle teenage angst. Maybe that’s why it’s visited on the young? When did it happen? When did I become predictable, dependable, responsible, and logical? The lyrics, steadfastly sticking with me, are from “Supertramp’s” “Breakfast in America” album.